Get Your G/F Some KNAC.COM! Dude! Buy your woman one of these shirts. It's a slam dunk! 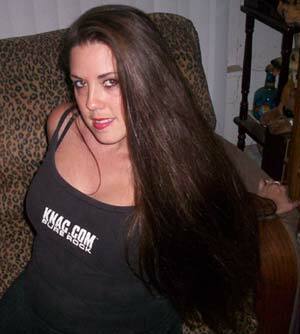 Got hotter pictures of chicks in KNAC.COM gear? Send 'em to me. I'll be happy to post 'em up here. Click on my name (Philthy Phil) at the top of this post, and send me your shots. In the mean time, get to the Slaymart NOW!